An award-winning stand-up comedian, actor and TV writer, Graham Kay has been described as “Quick, clever, deliciously sarcastic and brilliantly funny” by The Huffington Post Comedy. Graham recently performed stand up on The Late Show with Steven Colbert. 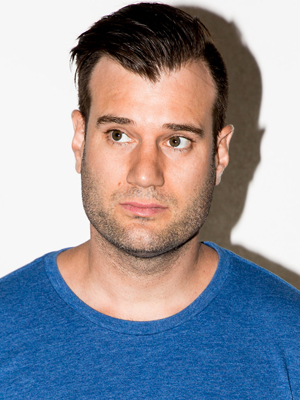 He has also won the coveted Just For Laughs 2013 Homegrown Comic Competition, and was nominated in 2014 as Best Stand Up Comedian (in Canada) at the Canadian Comedy Awards. Graham has appeared on HLN’s On Call With Dr. Drew, Fusion’s Video On Trial, and the 2018 hit summer movie Super Troopers 2. In addition, he has written for the sitcom Spun Out on CTV starring comedy legend Dave Foley. Graham’s comedy can currently be heard regularly on SiriusXM Radio and seen on The Comedy Network. Born in Ottawa Canada, Graham currently lives in Brooklyn New York, where he performs regularly when he’s not touring.